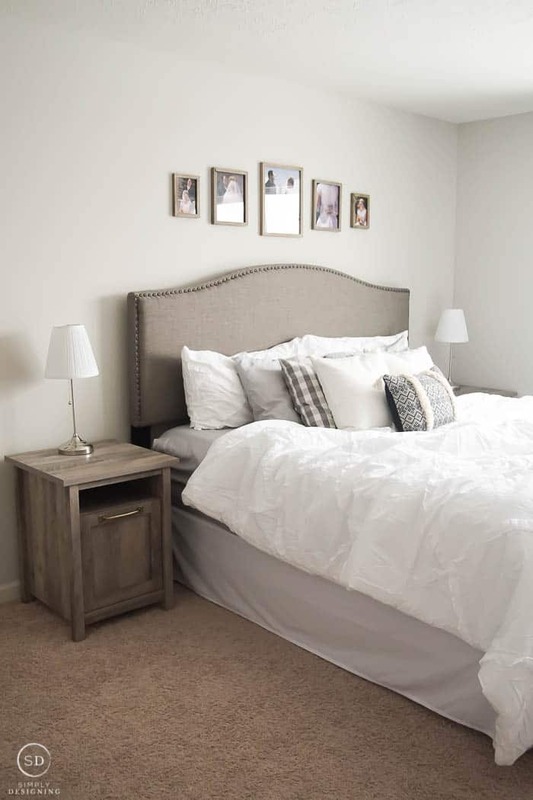 This cozy, white master bedroom makeover shows the transformation of this master bedroom from dull to absolutely stunning with just a few budget-friendly items. I had the pleasure of helping a friend turn her bedroom into a beautiful and special master space for her and her husband and I am so excited to share this Master Bedroom Makeover with you today! 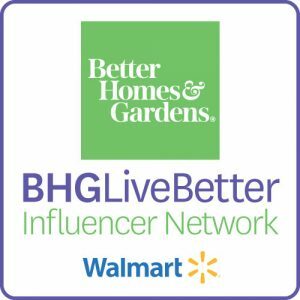 If you want to see the transformation that my Master Bedroom has taken over the years, check out my posts here. 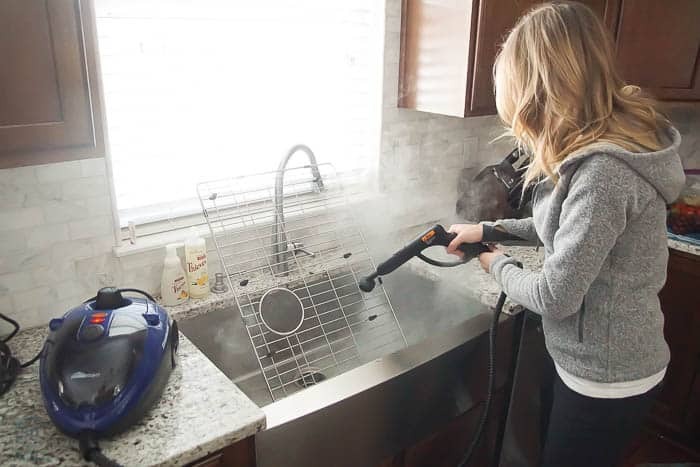 My friend’s space, has taken an equally amazing transformation, keep reading to learn all about it and also see how we added some great additional storage to her space! 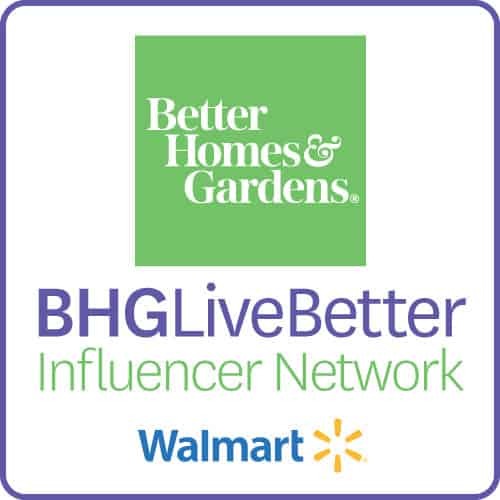 A big thank you to Better Homes & Gardens at Walmart for sponsoring today’s post about a master bedroom makeover. All opinions and ideas are mine. 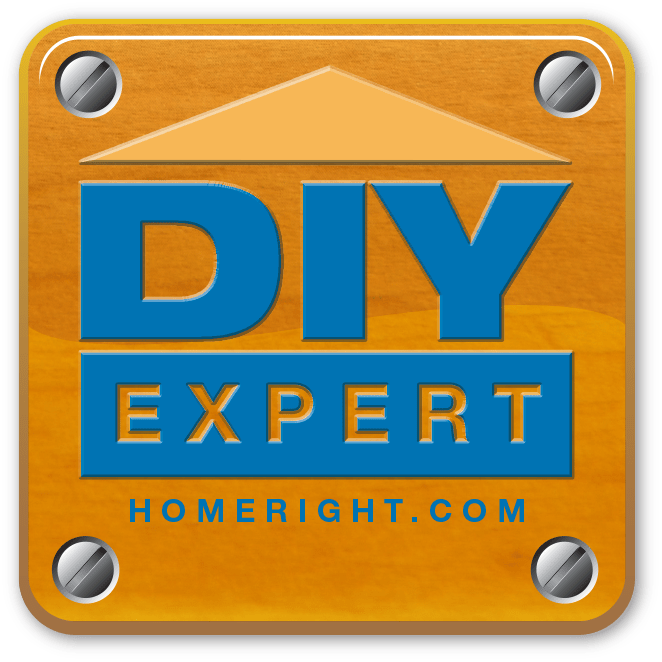 Affiliate links may be included in this post for your convenience. If you make a purchase through these links, you will never pay a penny more, but I receive a small commission for it. Thank you for supporting my blog. 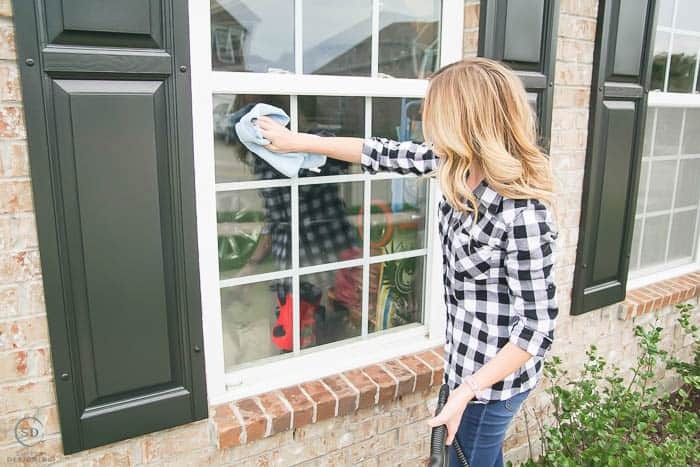 My sweet friend has spent a lot of time making her home look so beautiful, but like most mom’s, her room hasn’t made the top of her to-do list and I was excited to help her create a lovely space just for her. Let’s look at a BEFORE photo. 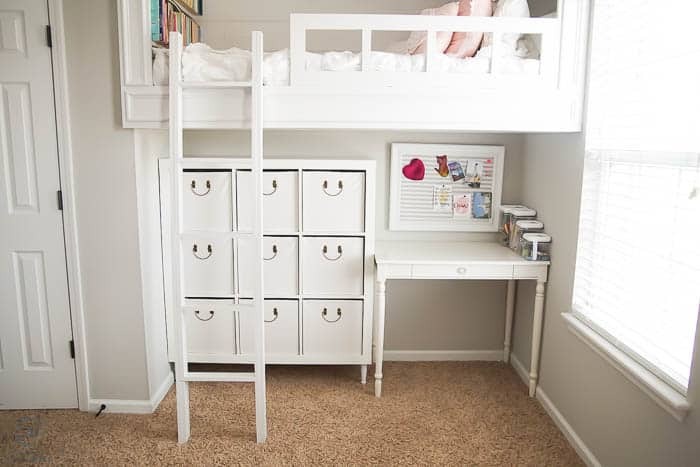 I wanted to help her create a beautiful space and add extra storage in her room, that was our goal. 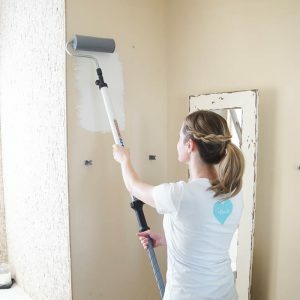 I knew that with a little work, and a few new pieces of affordable furniture, we could get her bedroom looking amazing in no time. She has a great bed, but it was just on a frame, her curtains were in good condition though and so I wanted to work with what she had, and add to it to make the space a little more dreamy for them. 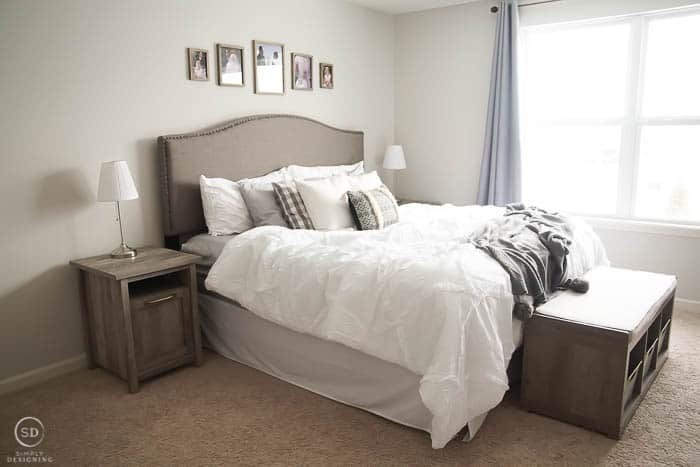 We began by picking out a headboard that would fit the space and her style. 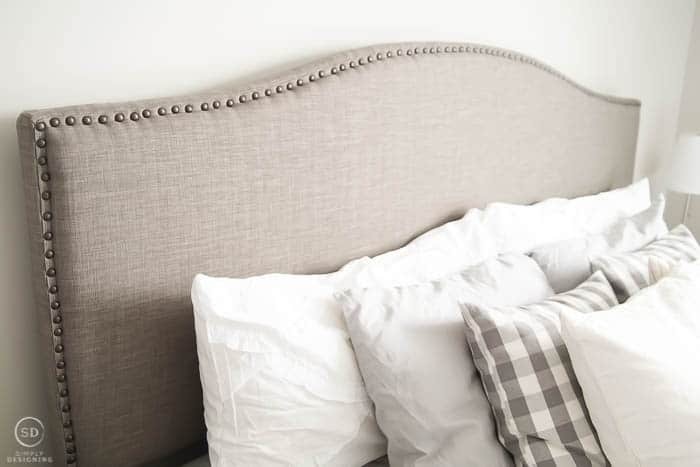 This Better Homes & Gardens Grayson Headboard in Gray is a beautiful fabric headboard that gives the space a soft touch and was the perfect starting off point for her room. 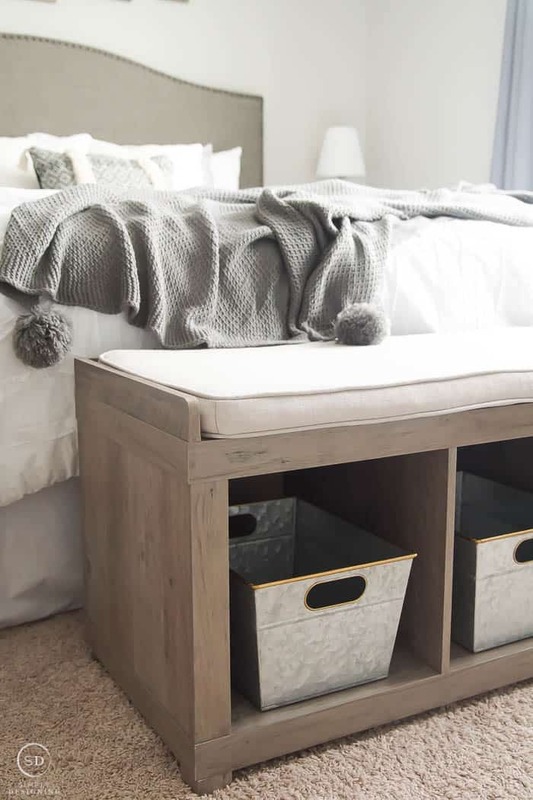 I wanted to find nightstands what would fit the space well, add extra storage and a little fun style to her space. 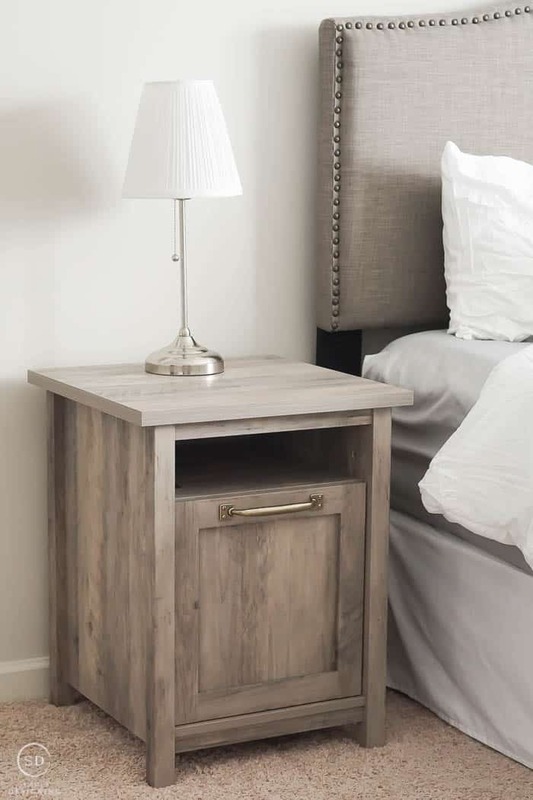 These Better Homes & Gardens Modern Farmhouse Nightstand With USB in a Rustic Gray Finish are so beautiful and stylish. I love that there is hidden storage behind the door and also a perfect cubby for books or your charging electronics. And the USB spots are so awesome. 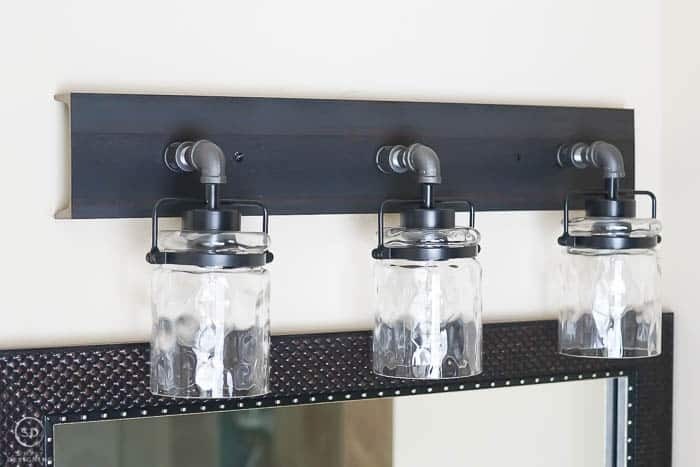 Plus the handles…swoon! We added one nightstand on each side of the bed. 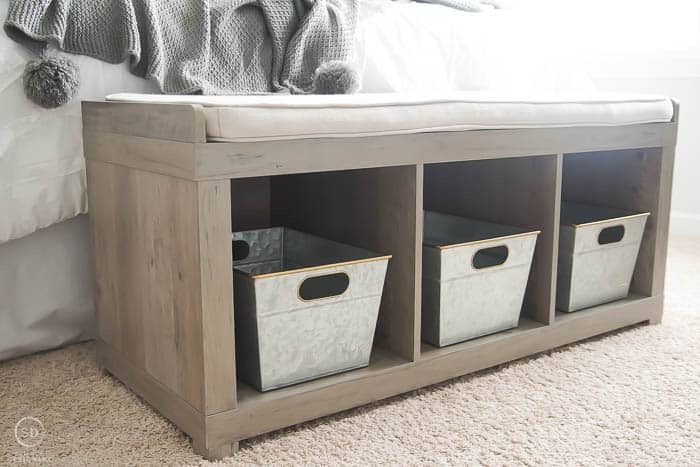 I wanted to give her a little more storage in her bedroom and when I saw this Better Homes & Gardens 3-Cube Organizer Storage Bench in Rustic Gray I knew it would add great storage but also a bench seat which can be so helpful when getting ready in the morning. I love benches in bedrooms and this one is so cute. 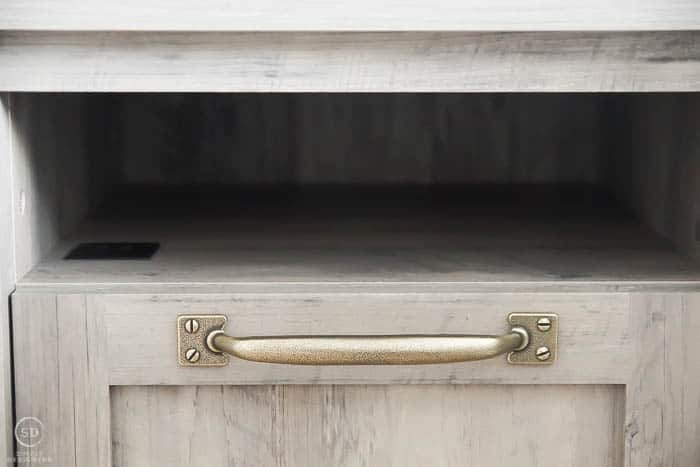 I added three of these beautiful Better Homes & Gardens Medium Galvanized Bin in Silver with Gold Trim into the cubbies. I really am in love with how these look! The gold trim accent is just perfect. Having added more storage to the space, I wanted to make the bed a little more cozy and inviting! She already had sheets and a few extra pillows, so I knew that we just needed to add a few things to really make this space feel super cozy and warm. 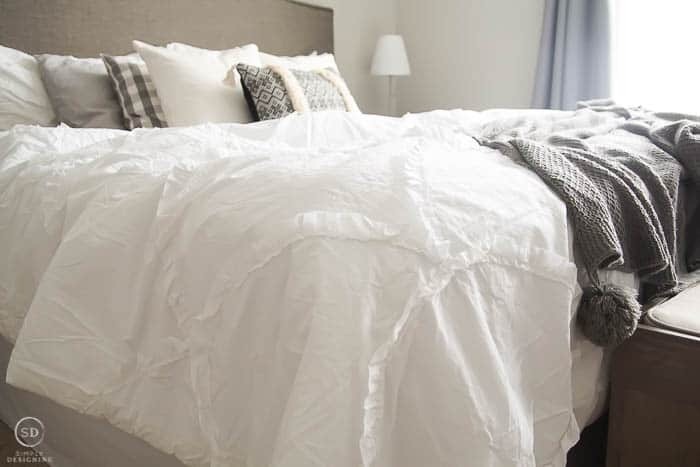 We decided to lighten up the space and add this comfortable Better Homes & Gardens 3-Piece Textured Scallop Comforter Set in White to her bed. 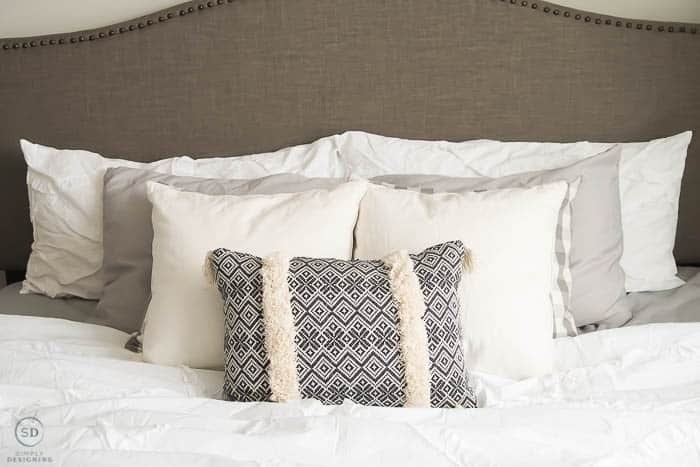 We put the shams over pillows and at the back of the bed, then added a few pillows she already had, and finished it off with a cute Better Homes & Gardens Handcrafted Jacquard Tufted Decorative Pillow pillow for a fun accent. 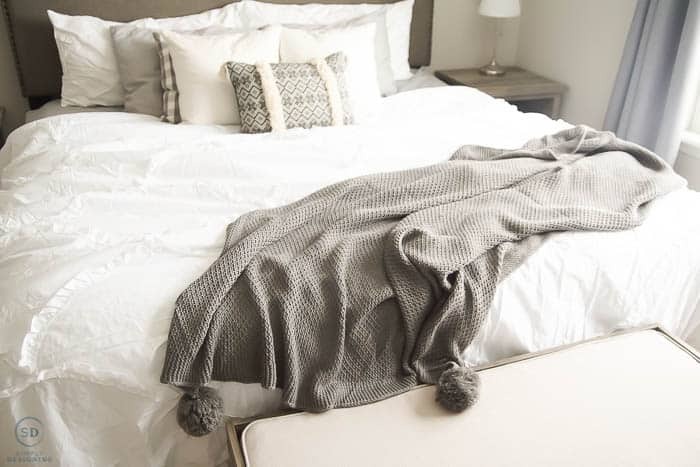 This comforter is so pretty and adds great texture to the space. I love it so much, I think I may need to get one for my bed! And I am swooning over that pillow too! 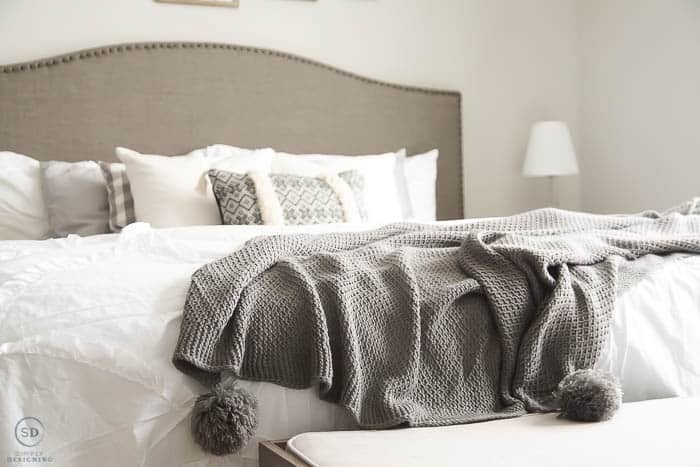 This cute Better Homes & Gardens Knit Pom-Pom Throw Blanket in Gray is the perfect final touch to their bed, keeping it neutral yet cozy. I mean don’t you just want to crawl into this bed?! And finally, I wanted to personalize this space. I love adding personal touches and photos to spaces to help make them feel like home. 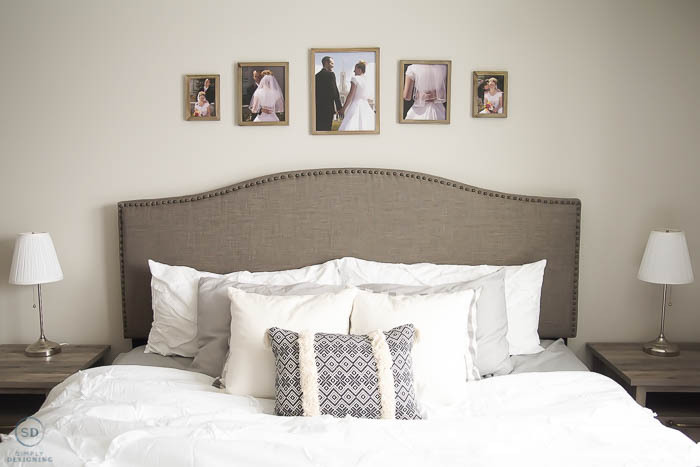 I snagged some of my favorite frames to hang over their new bed, and they filled them with wedding photos! 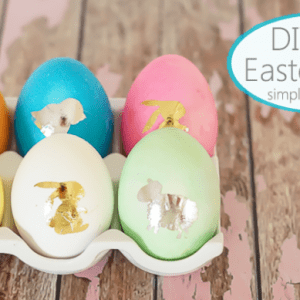 How cute are these? 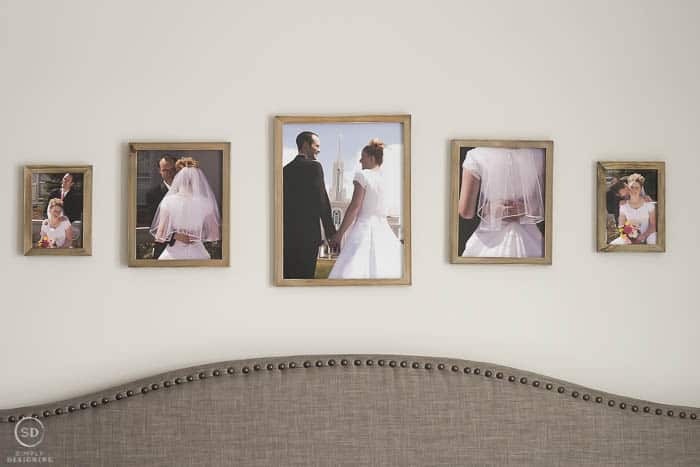 I used these frames here, here and here and hung them above their bed. I just love how her bedroom turned out! It is amazing what a few pieces of furniture and a little time and love can really do to transform a room. She has a comfortable bed that you just want to crawl into, we made it personal with fun wedding photos, and added a ton more storage! The transformation is simply stunning! And I am just thrilled that my friend now has a beautiful and cozy master bedroom. I love it! Especially that headboard! And Abby is so well deserved for it! It looks lovely, Ashley! Saw your post by way of Share Your Style! Please come and join us at Homestyle Gathering by way of My Wee Abode. We would love to have you! Hello Ashley, thank you for sharing this post at Share Your Style this week! 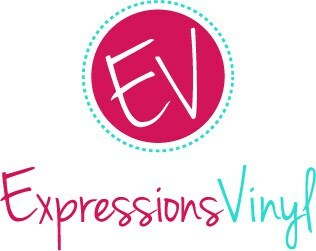 I will be featuring your post at SYS #197 this coming week. Love how your bedroom turned out! 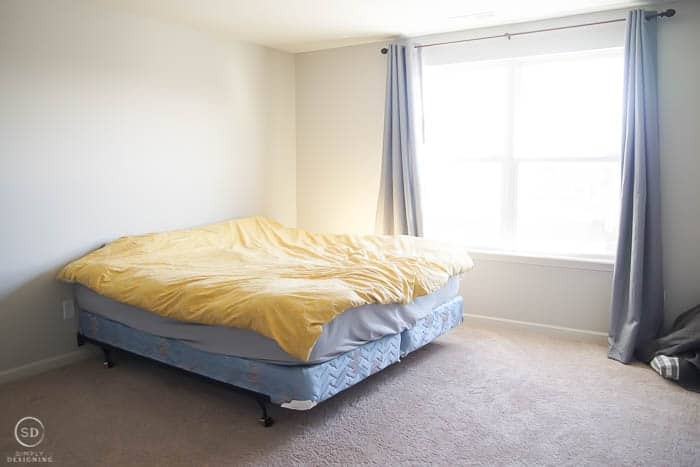 You truly made your friend’s bedroom so warm and inviting. Pure bliss!